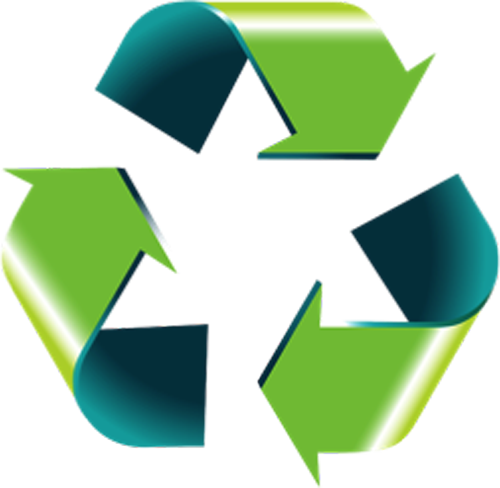 Polylactic acid or PLA has brought 3D printing closer to full green sustainability in recent years. When used as a filament in 3D printing, PLA eliminates most of the issues brought about by common petro-based plastics, resulting in less waste, non-toxic products, and reduced negative effect on the environment. PLA has become an increasingly popular choice for 3D printing material. Let’s have a look at the process from Plant to PLA filament, as illustrated by SelfEco, a manufacturer of eco-friendly materials. PLA is the same type of plastic used in making environmentally friendly disposable cups and utensils labeled “compostable” or “made from corn.” It is produced from renewable crops such as corn, sugarcane, or tapioca, and is being widely used today as a safe, non-toxic, biodegradable, and eco-conscious material in medical implants, packaging, hygiene products, upholstery, injection molding, and more. 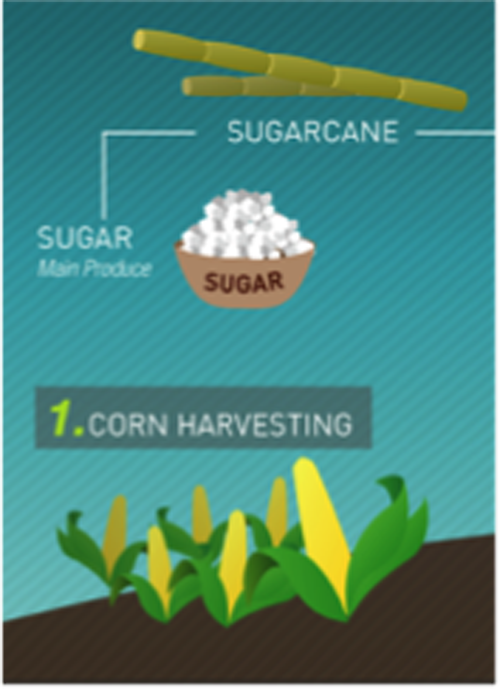 Step 1: The type of crop to use in the production of PLA is selected based on its abundance and economic feasibility in its region. Step 2: The crop is milled, and a simple sugar is extracted and stored for fermentation. 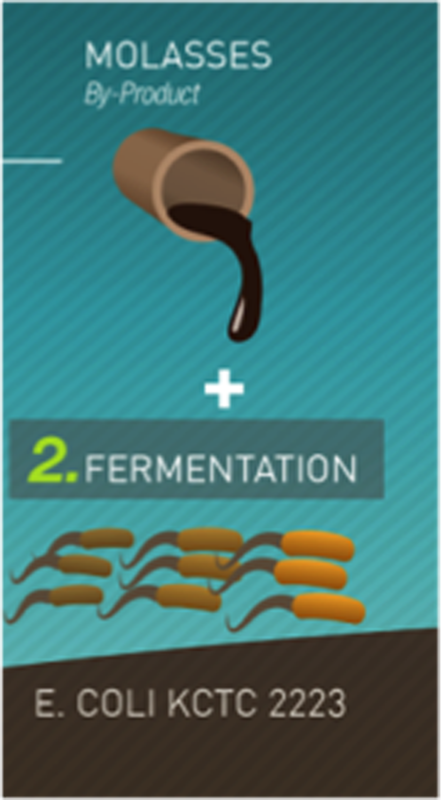 Step 3: Microorganisms are introduced into the sugar solution, undergoing homolactic fermentation and turning it into lactic acid. 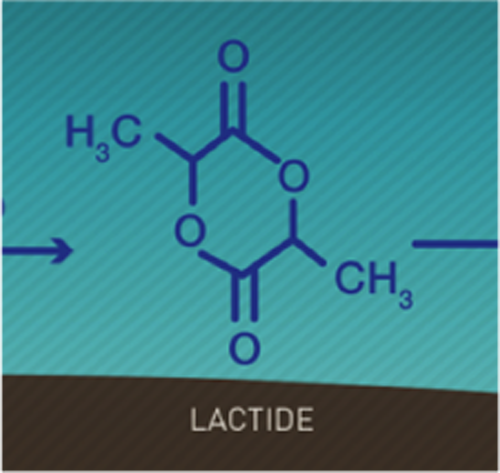 n purification via the removal of excess water in a vacuum or through azeotropic distillation, the two molecules of lactic acid form a compound called lactide. 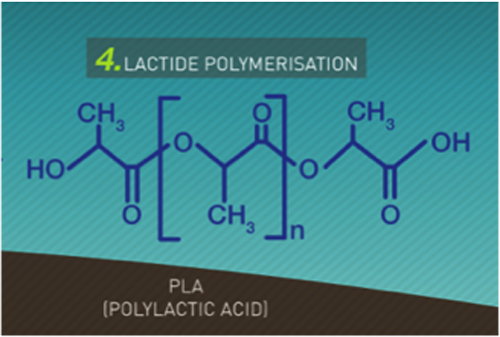 Step 5: Raw PLA is formed (called “polymerization”) upon adding a metal catalyst (typically tin octoate), allowing the lactide to form a long chain consisting of thousands of polymers linked together. 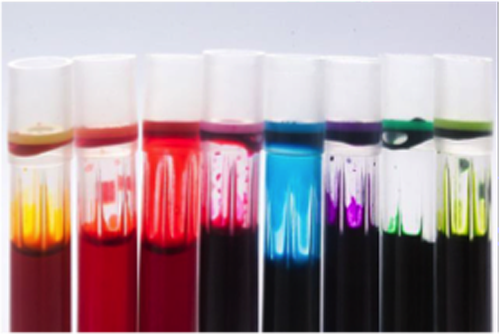 Step 6: Manufacturers may add FDA-approved dyes to the strands for color. PLA is the preferred 3D printing filament of hobbyists, schools, and home printers because of the wide variety of colors that are available—including neon, translucent, and high gloss. 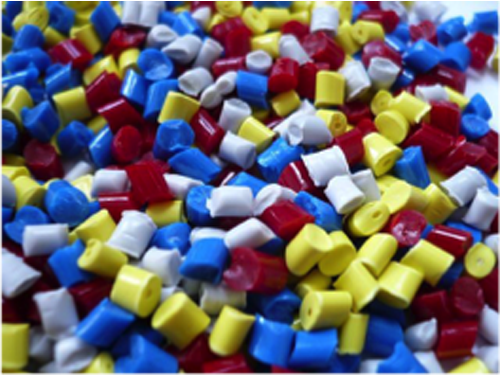 Step 7: PLA may be turned into pellets that can then be molded into numerous biodegradable items such as textiles, foodservice packaging, and disposable tableware. For 3D printing or Fused Deposition Modeling (FDM) purposes, the PLA is woven into filament form and wound around a spool. 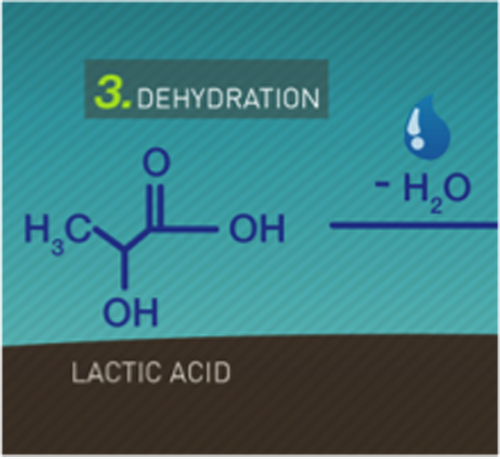 Step 8: Upon reaching end-of-life depolymerization or decay, PLA can be recovered and easily converted back into lactic acid—which then starts a new cycle of PLA production. PLA is slated to become even more affordable and greener as new production techniques using zeolite as a catalyst have been developed to eliminate the metals used and waste generated in current PLA processing, resulting in higher yields of lactide. The technology has been patented and is ready to be ramped up for use on an industrial scale.